Late to the 2009-2019 party, but this is pretty cool. Yep. Ten years: That’s how long it took to get offa my computer and into your hands. On the left: the very beginning stages of chapter three. On the right: the printed page. Ten years doesn’t feel like a long time right now, and in 2009, I was in the first flush of writing. I had crafted a proposal based on knitting together posts from my blog (flyingchanges, as was). As literary agents soon proved to be underwhelmed, I started writing it, thinking that a few chapters would help sell the idea. Not so much. I reworked the query letter, rejigged the proposal, kept on writing… until, in late 2010, I realised I had to write about the whys of my decision to take up the sport in addition to the hows and whats. I had to write a codependency memoir. It felt too personal, like crazy personal, and I didn’t know where to start. 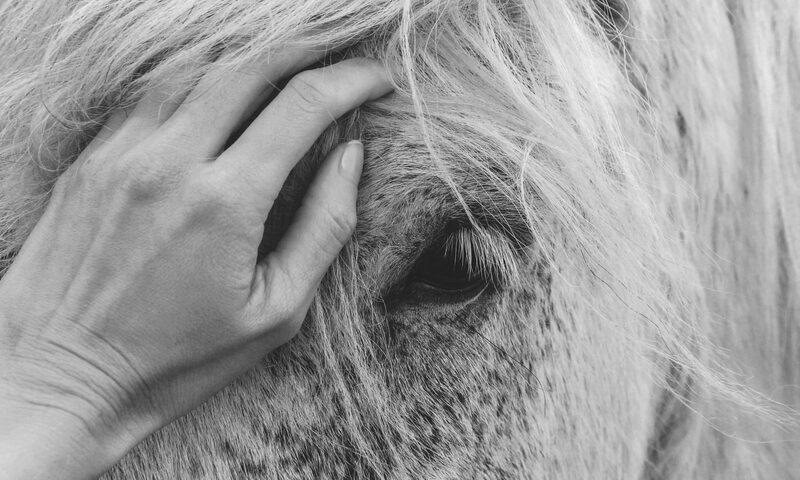 I saved what I could from the initial proposal and started over, weaving together stories about what I was learning on horseback, and how they surprisingly lined up with what I had been learned in 12-step. It was totally unexpected. 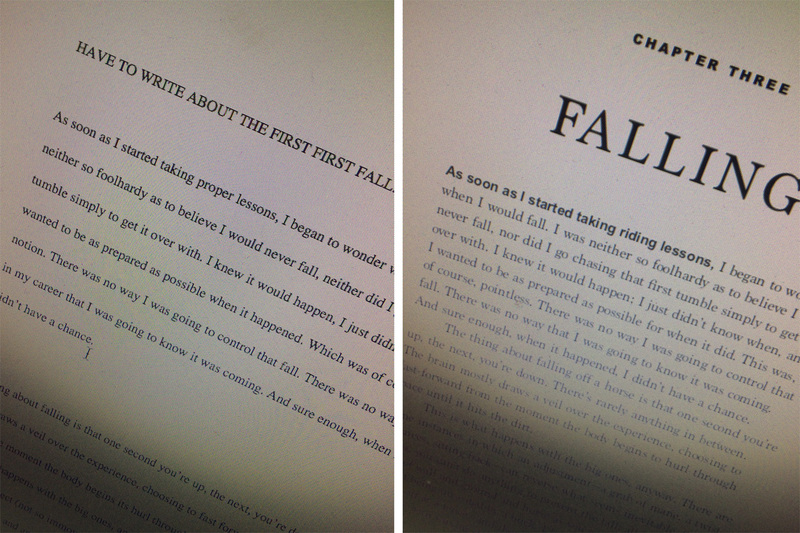 When I finished the first draft in 2012… that’s when it felt like it had been forever. I remember writing the last line [as it was then; it is long gone now], shutting my laptop, and walking out of the house. I couldn’t believe it was done >> ha ha, yeah, no, it was nowhere near ‘done’. It was only the first stage of done. I started all over again, this time leading with the manuscript, pitching, re-drafting, querying agents, fielding rejections, garnering interest that fizzled into no response… Yeah. That’s when it felt like it was never going to happen. Now, with an advance copy literally at my elbow as I write this, it feels like no time at all. A decade? All of a sudden, it feels like it’s been a heartbeat. Next PostNext MBF Q&A: What Is Codependency?